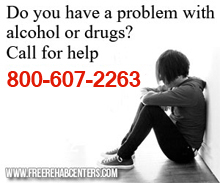 Omaha, NE Free Treatment Centers, Affordable Rehab Centers. ADDICTION SUPPORT GROUP, a Christian 12-step program designed for spiritual growth and healing. Helps overcome hurts, habits, and hang-ups. BIBLE BASED CHRIST-CENTERED SUPPORT GROUPS for people with life problems or who wish to improve their relationship with God, themselves and others.